I have a confession to make … I don’t remember the last night when I didn’t eat dessert. I mean, it’s been years. Now (unfortunately), I’m not going to tell you that eating dessert is the latest diet craze, or you would lose 20 pounds if you just started eating dessert every night, but I am going to share 10 desserts that I enjoy regularly, which won’t cause much nutritional damage but will still taste delicious. If you’re one of those people who finish up dinner and are 100% satisfied every time, then more power to you! But if (like me), you just love eating dessert, then I believe it is possible to incorporate dessert into a healthy diet, as long as you: choose health(ier) options, eat mindfully and enjoy, and incorporate it into your overall diet plan. Although desserts are generally sugar- and carbohydrate-heavy, I generally look for something with a bit of added protein or fat to limit potential insulin spikes and keep me satisfied. (And don’t worry, I didn’t forget about the BDD Rule, and I still think that desserts at restaurants should be saved for a treat, as they’re just a bit heavier than these options!) So let’s get to it! Greek yogurt. I usually go with my plain 0% Fage or Chobani, and either add fresh (or frozen) berries, cinnamon and stevia, a sprinkle of cereal, or even a spoonful of almond butter. 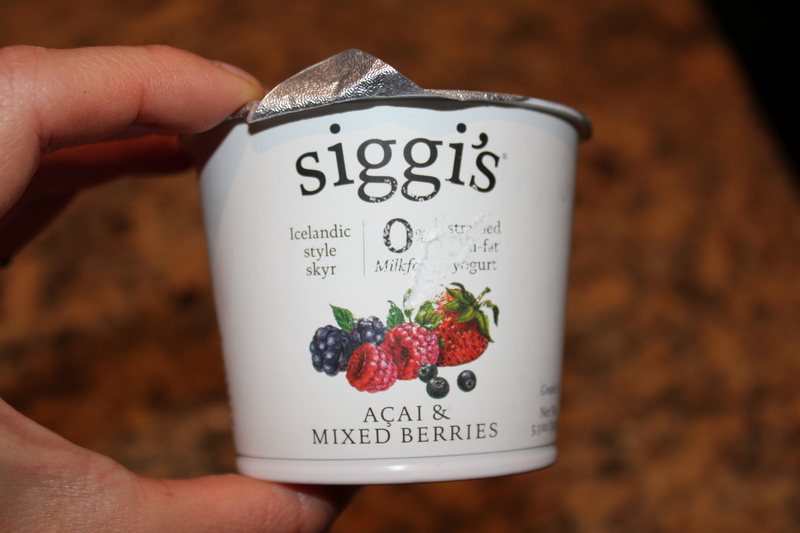 Or, if I don’t have fresh toppings, I have some lightly-flavored Greek yogurt (like Siggi’s brand) – but I’m careful with the sugar content, as many of these pack a lot. Dark chocolate. I’m sure you’ve heard about the antioxidants and flavonoids that make dark chocolate healthy (yay! ), but we still need to watch portion sizes. Leave me alone with a giant sized chocolate bar, and I’m certainly not saving any for tomorrow! So I always break off ½-1 serving, put the bar away, and enjoy my portion. I don’t discriminate against dark chocolate (! 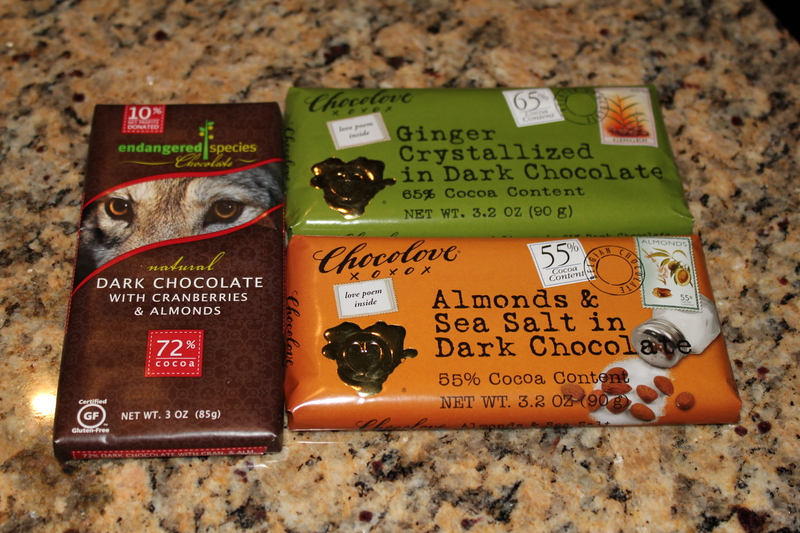 ), but 3 of my favorite dark chocolate bars appear in the photo. Cereal. If I could only eat one food for the rest of my life, I’m convinced it would be cereal. 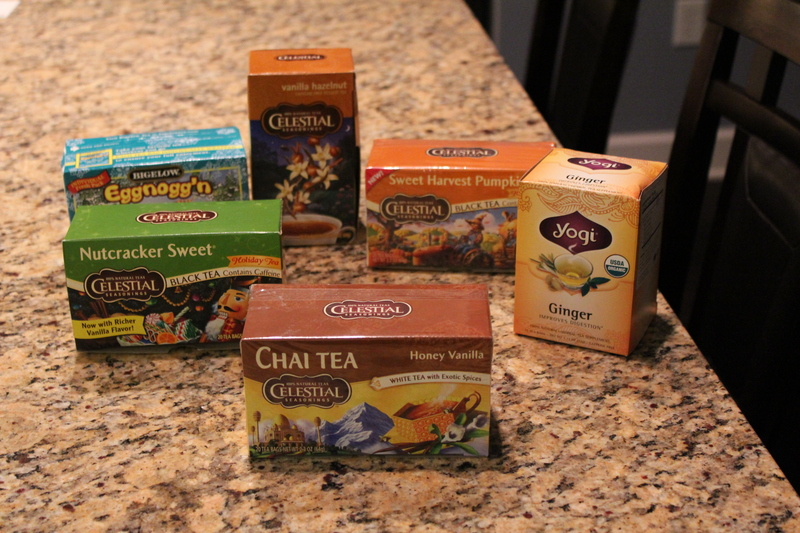 A few of my favorites recently are Heritage Flakes and Puffins, but I love many kinds! I usually serve it in a mug to limit my portion sizes, and add some cinnamon, almond milk, and nuts (or a spoonful of almond butter) for some healthy fat to limit the insulin spike. <–I no longer recommend cereal, except for the occasional Love Grown cereal. Frozen “healthier” ice creams. These are popping up all over the grocery stores lately, and if you scope out the ingredients for those without too many added sugars and a good dose of protein, they can be a healthy ice-cream substitute. Every once in a while, Halo Top, Wink, or So Delicious No Sugar Added fudge bars can be nice treats. If they cause you digestive upset (which is common! ), stay away. Peanut or almond butter and jelly, honey, or cinnamon on a rice cake. Kind of like being a kid all over again! Easy and delicious. Low-fat ricotta or cottage cheese (1/2 cup), plus cinnamon and fruit. My favorite is low-fat ricotta cheese, cinnamon, and a chopped pear, but feel free to experiment with different combinations! Chocolate chia protein pudding. Remember when I told you about the great consistency that soaked chia seeds take on? Well this is the perfect, simple way to test that. 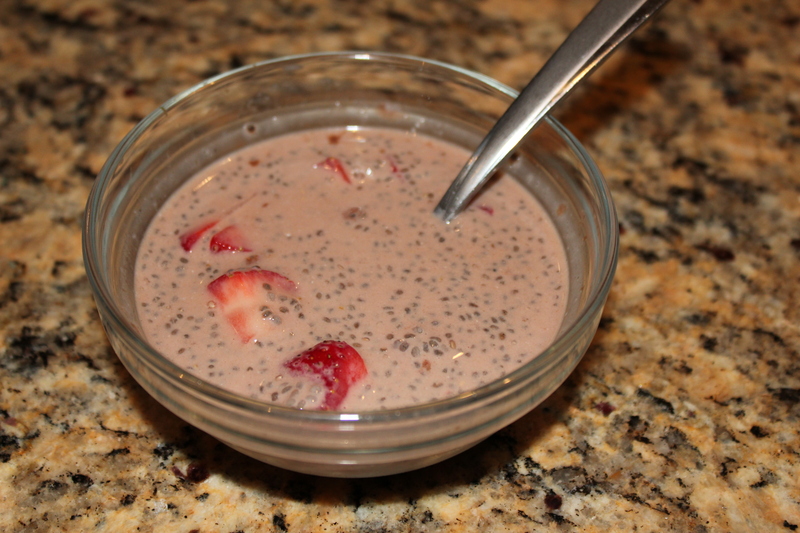 Just stir 1 tablespoon of chia seeds, plus 1 tablespoon of chocolate protein powder, into 1/3-1/2 cup of unsweetened almond milk (I used unsweetened chocolate Almond Breeze), and let it soak for about an hour. Once it gets that great pudding-like consistency, chop up some strawberries, and enjoy! Baked apple “pie.” Couldn’t be easier … chop up an apple, add a bunch of cinnamon, microwave for 90-120 seconds or until slightly mushy, and top with a spoonful of almond butter. This is like peanut butter apple pie – you can’t even understand until you try it! Tropical mango “ice cream.” OH. MY. GOODNESS. I just created this two nights ago for the first time, and I can’t even wait to share. Simply blend ½ a mango, a small slice of pineapple (I used 45g), 2/3 cup unsweetened almond milk, ½ scoop vanilla protein powder (optional, but the Vega Vanilla Chai I used added some great flavor), and ice. 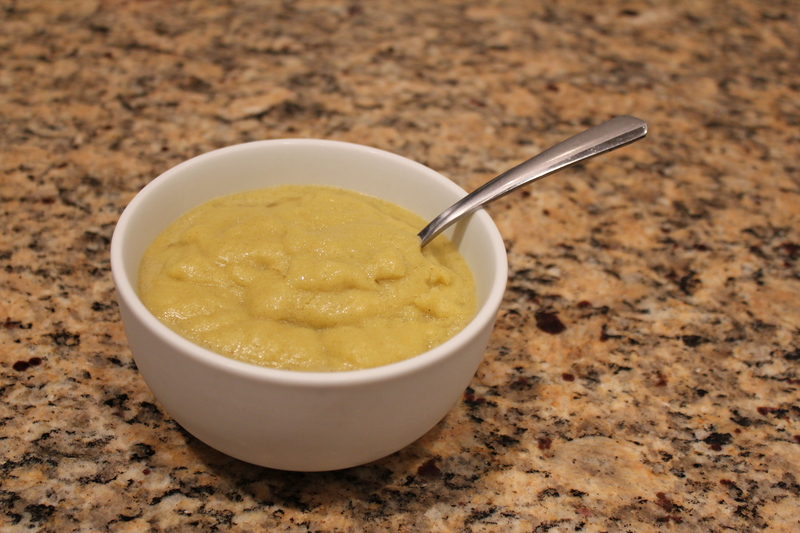 You will get a huge bowl of pure deliciousness, for only 183 calories, 4g fat, 20g sugar, and 9g protein (slightly higher in calories and sugar than some of the other options, but I promise it’s worth it! Or just share with someone else!). So tell me in the comments … which of these looks best to you? 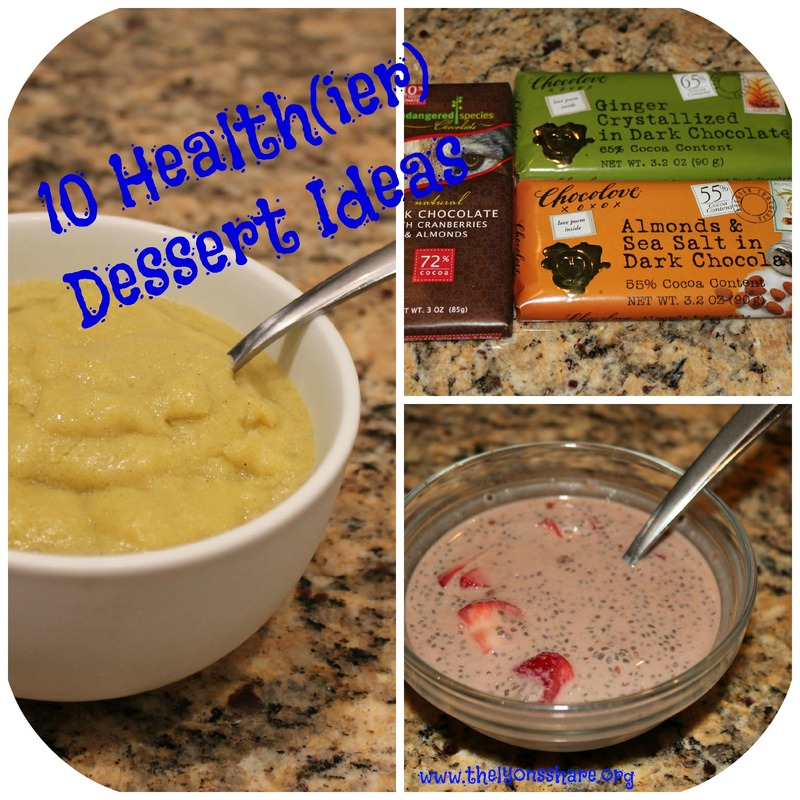 Do you have any other healthy dessert options to share? Great taste must run in the family :). I won’t tell!